HOSTERS: Putdrive currently supports over 80 different file hosters. 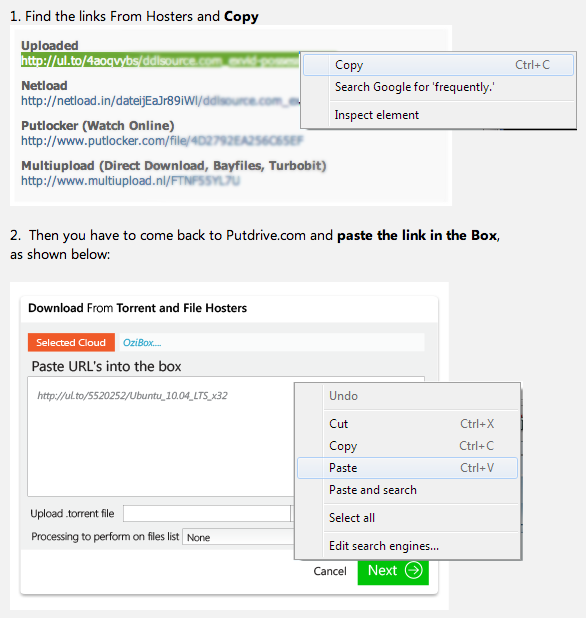 Just paste the URL of the file and it will automatically download the file on your online cloud drive. Later you can download the files from your cloud drive using a download manager. TORRENTS: The second Putdrive hit- feature is Torrent downloading. You can download torrents to your cloud drive 100% anonymously by pasting the magnet URL, torrent URL or by uploading the actual torrent file. 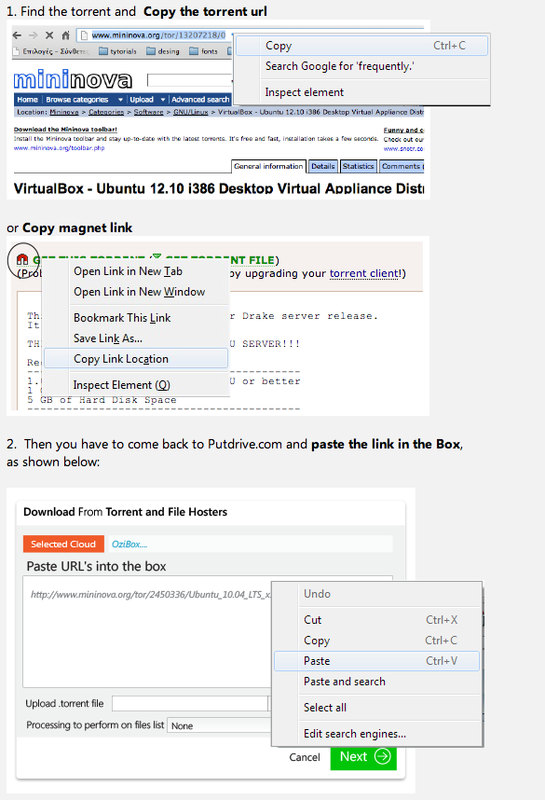 You select the “Put Files” tab and paste or upload your torrent. Once you hit “Start Putting”, it will start to download the entire content of the torrent file to your cloud drive. You can then download the files to your PC from your cloud drive by using your internet browser or download manager. STORAGE: Additionally Putdrive.com gives every newly registered user 100GB Cloud Storage as a bonus! DON’T MISS IT! SELECT YOUR PREMIUM ACCOUNT NOW AND TRY OUT THE NEW COMBO SOLUTION FOR BOTH TORRENTS AND HOSTERS.